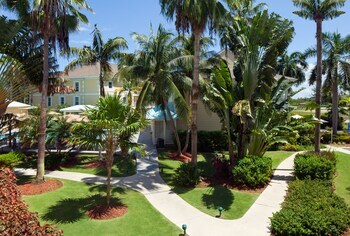 Flights from Miami to Grand Cayman are popular with vacationers interested in international trips to the Cayman Islands. 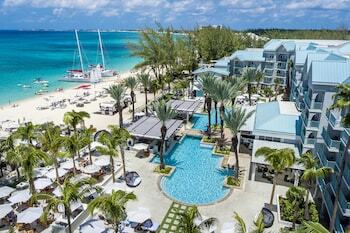 Grand Cayman offers miles of sandy beaches, clear waters, and exotic animal and plant life. 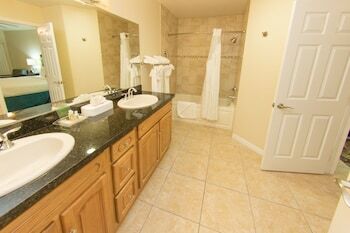 You can book your next vacation with Orbitz.com to find great deals on airline tickets, hotels, and more. Located in southern Florida, the city of Miami is a major center for finance, entertainment, and Hispanic culture. It has been hailed as the cleanest city in America because of its good air, good water quality, and large green spaces. Miami is served by the Miami International Airport, which houses dozens of airlines. The Miami International Airport is located 5 miles west of downtown Miami, making it easy to reach by personal and public transportation. The Metrobus has several bus routes that serve the airport for a regular fare of $2, and travelers can also take the Airport Flyer express bus for $2.35 from downtown. A taxi ride from downtown costs between $10 and $15. If you drive your own vehicle to the Miami International Airport, you can park in the economy lot for $8 per day or in the parking garage for a maximum fee of $17 per day. After arriving at the airport, you can grab a drink or a bite to eat at one of the airport's eateries while you are waiting for your flight to begin boarding. The Miami International Airport has more than 100 dining locations, including the Great American Bagel and Starbucks for morning travelers and Haagen Dazs and the Budweiser Brew House for those taking later flights. 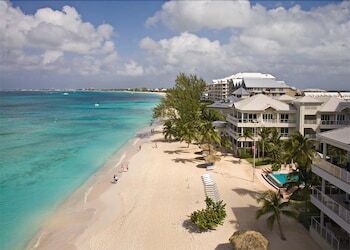 Grand Cayman is the largest of the Cayman Islands and home to 95 percent of the country's population. Its sandy beaches and clear blue waters make this Caribbean Island a favorite vacation destination for travelers who want to relax in the sun. 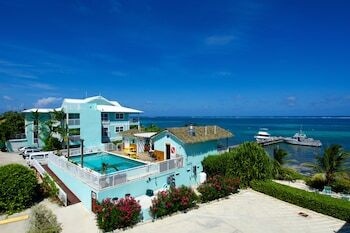 People traveling to Grand Cayman will arrive at Owen Roberts International Airport, the primary base for Cayman Airways. The airport is located less than 2 miles east of downtown George Town, the island's capital city. Taxi service is available at the airport to take you to your final destination, and there are several public bus routes to take you around the island. Renting a car at the airport is often the easiest way to get around the island. Average temperatures on Grand Cayman stay between 70 and 90 degrees Fahrenheit throughout the year, with little variance between daytime and nighttime temperatures. July through November are the months when most tropical cyclones threaten the area, so traveling during other months of the year are your best bet for sunny weather. The island's Seven Mile Beach is renowned for its white sands and wealthy tourists sipping on cocktails. Queen Elizabeth II Botanic Park is dedicated to the islands' native plant life if you are interested in attractions, or you can hit the water by partaking in snorkeling, enjoying dinner cruises, and swimming with the dolphins. 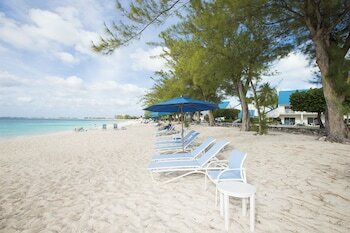 With nonstop international flights from Miami to Grand Cayman, it is easy to get from Florida to the Cayman Islands. You can make your vacation reservations on Orbitz.com, where you can book both flights and hotels to save even more money. Begin planning now to make your own reservation for endless possibilities. Fort Lauderdale - Hollywood Intl. - Owen Roberts Intl.